This is a pre-designed page with three photos. 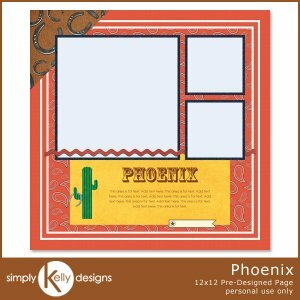 Add 3 photos and some journaling and your trip to Phoenix will be completed! Papers and elements in the template can be moved around and changed. This is NOT a flattened quickpage.